The Office of Rail and Road (ORR) has set out its final determination on Network Rail’s plans for CP6. The £35 billion plans – £31 billion in England and Wales and £4 billion in Scotland – form part of the £48 billion included in the Statements of Funds Available; the differences reflect a number of factors, including the exclusion of enhancements. Network Rail has responded to ORR’s challenge to further develop the company’s draft plans to improve reliability. The regulator has now approved £24.3 billion to be spent in Great Britain on maintaining (£7.7 billion) and renewing (£16.6 billion) the existing railway, with renewal work seeing a 17 per cent increase from the £14.2 billion in CP5. The ORR’s increase in the Performance Innovation Fund from £10 million in the draft determination to £40 million in the final determination will support the testing and implementation of new ideas from across industry to improve punctuality. The ORR has confirmed Network Rail’s plans for a significant funding and resource boost for its timetabling and planning functions, with the System Operator’s forecast spend almost doubling from around £145 million in CP5 to more than £270 million in CP6. This will enable Network Rail to employ around 100 new staff from the current total of around 700. The five-year plan will see Network Rail become much more locally focused, with each of its eight geographic routes having its own budget, delivery plans and scorecards. In addition, ORR has strengthened local routes’ ability to buy goods and services they need locally rather than centrally, where it offers better value for money. A £245 million research and development fund will be available over the five years to help develop new technology that improves industry’s performance or efficiency. The use of this fund is contingent on additional governance arrangements being agreed between Network Rail and the ORR. 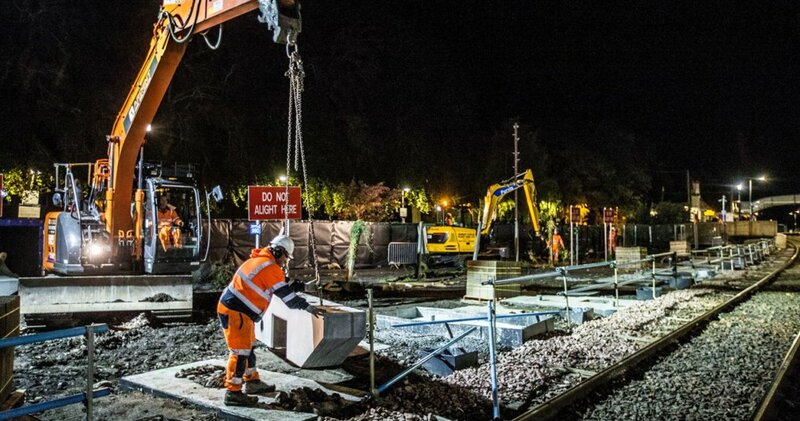 ORR CEO John Larkinson said: “These plans are focused on improving performance for passengers and freight operators by getting the basics right – ensuring that the railway is properly maintained and renewed, and on improving the daily operation of the railway.